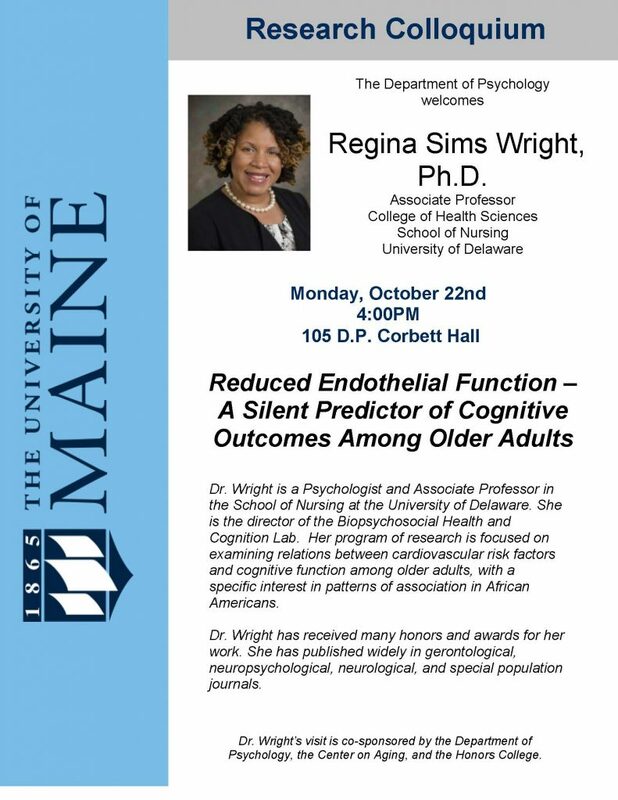 UMaine Center on Aging is proud to partner with the Department of Psychology and the Honors College in bringing Dr. Regina Sims Wright to the UMaine community. Dr Wright is a Psychologist and Associate Professor in the School of Nursing at the University of Delaware, and will present a talk titled, “Reduced Endothelial Function – A Silent Predictor of Cognitive Outcomes Among Older Adults.” Dr. Wright’s area of research is on the relationship between cardiovascular risk factors and cognitive function among older adults, with a specific interest in these patterns in African Americans. 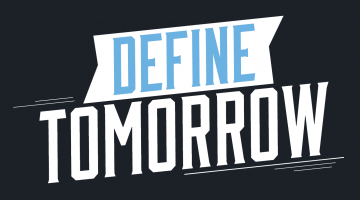 Please join us for this interesting and important learning opportunity!